On Monday 13 November, the Defra Livestock Information Programme Traceability Design User Group (TDUG) met with Lord Gardiner and other senior Defra officials at the Defra office in Nobel House. TDUG includes key influencers from across government and industry who work with or in the meat and livestock sectors. The group is directly engaged with the design of a future livestock traceability service and as such the room was full to bursting with Chief Execs and other leaders. The purpose of the group is to co-create a livestock traceability service that will deliver positive productivity, trade and animal health related outcomes. This approach is seen as the best way to develop a service that works for people and that will deliver win-win solutions. 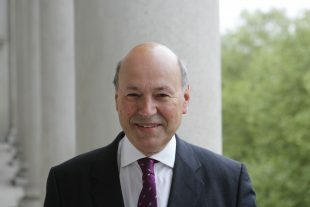 Lord Gardiner also acknowledged the very considerable effort that leaders from the meat and livestock sectors have invested in building the clarity and ambition that will now underpin the design of a new service. “There was a very positive buzz across Defra as word got around about the potential for transformation, and the strength of the partnership that is developing. In fact, the power of the argument was such that some people were starting to ask “What’s the catch?!”. We’ve worked hard to foster a positive, collaborative and trusting relationship with industry and across Government between Defra, its delivery agencies, the Food Standards Agency and Trading Standards. The benefits of the approach are now shining through, with clear, joined up and deliverable ambition backed up with commitment from all to help to design and deliver change. That partnership approach will reap dividends and add value to the government service that would otherwise have been missed”. 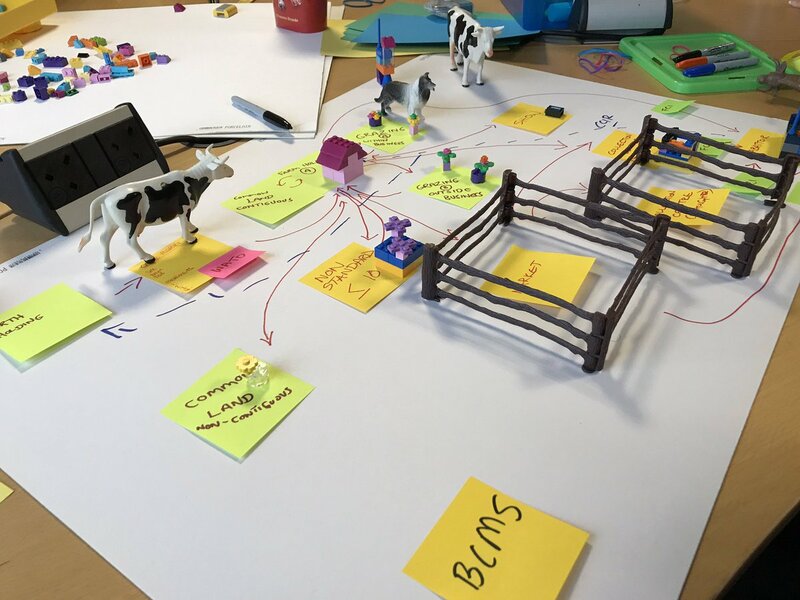 During the afternoon, Chris Harvey, Service and Product Design Lead, showed TDUG how the programme was approaching service design using a range of prototyping tools, including miniature farm models, role play and mock technology devices to help understand traceability challenges and design a solution that addresses those issues. The design element of the programme is now moving into a prototyping phase. TDUG members will be involved directly in that activity. TDUG also approved the IT tender process in principle during this session. That is a significant milestone that we should celebrate because it reflects the hard work, commitment and effort all around that has got us to this point. The key challenges now are to publish the IT tender document, get the programme business case signed off and prototype designs that will underpin the new service.